I love how blind contour makes drawing seem less scary but always seems to give you an interesting outcome. A wonky giraffe perhaps but he’s got some character. 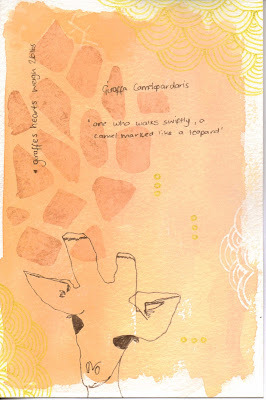 The scan doesn’t really show up the glittery pen and washes the whole thing out somewhat – next time I’ll take a photo.